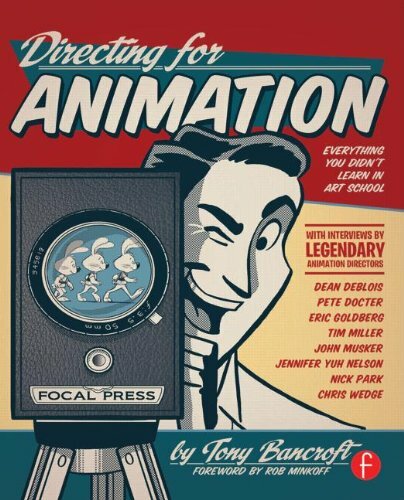 This book is written mainly for animators and those who want to learn more about animation directing. While I'm not into creating animation, I still learned a great deal from the stories and tips that come Tony Bancroft and the directors that were interviewed. The writeup is incredibly insightful. Content is organised into eight chapters that look at the different aspect of directing an animation. The topics covered include finding the vision, understanding the workflow, story, working with people, handling politics, managing budgets and schedules and finding ways to learn and improve constantly. Note that this is not a guided course to animation directing, but lessons and tips written from Tony Bancroft's perspective as animator and director for the several films he has worked on. The tone used throughout is enthusiastic and almost infectious. Each chapter ends with a lengthy Q&A with an acclaimed director. It's basically an all-stars list of directors featuring John Musker (Aladdin), Nick Park (Wallace and Gromit), Dean DeBlois (How to Train Your Dragon), Jennifer Yuh Nelson (Kung Fu Panda), Pete Doctor (Monsters Inc), Eric Goldberg (Pocahontas), Chris Wedge (Ice Age) and Tim Miller from Blur Studios. It's a mix of directors with experience in stop motion, 2D and 3D animation. The interviews don't actually follow the topics of the chapters. Instead, the directors talk about how they made it to directing, the challenges, developing and managing the film, the stages of production, responsibilities, budgets, handling people and even how they feel about meetings. There are a lot of interesting war stories. Just like Tony Bancroft, you can also feel the passion when they start sharing about the work they do. Overall, it's a really insightful and educational book that uncovers the mysterious of what animation directors really do.